So there I was in Newport, South Wales. I won’t elaborate the reasons but I had to go there. I had no choice. I ended up having 4 hours to kill in the place and it had it’s highs and lows. Here’s one of the highs. I’m keen to photograph people but it’s a delicate skill perhaps. With nothing to lose today and with a person who must liked being looked at I asked this chap if I could take a picture of him. 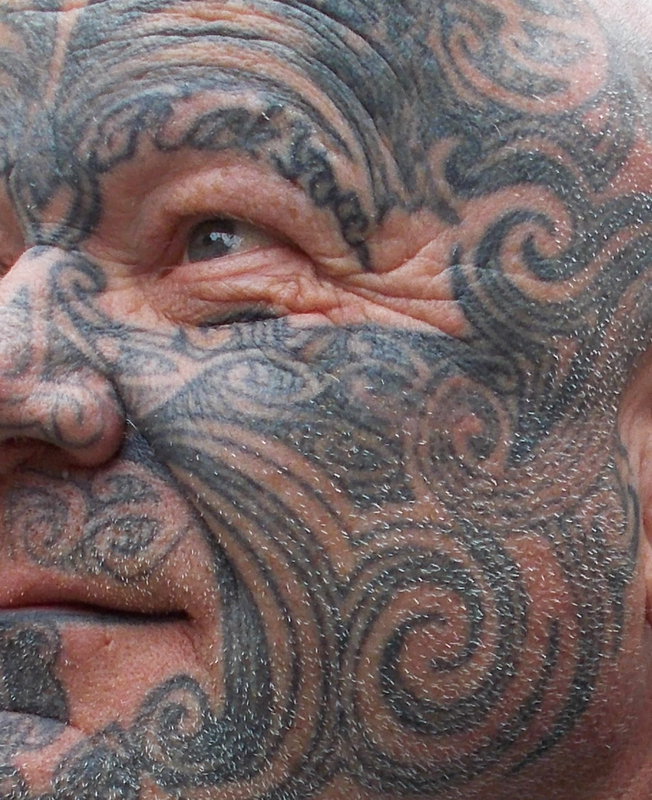 I’m not desperately keen on tattoos but this one was pretty good and it’s really the first time I’ve seen someone with tattoos all over their face. He seemed like a really pleasant chap too, smiley and quite happy for me to tell him to ‘look over there please’. In fact I found the people in Newport to be friendly all round in the short time I was there. Then it was off to the Art Gallery and what a treat that was too.They have a collection of teapots, and this one in particular caught my eye. 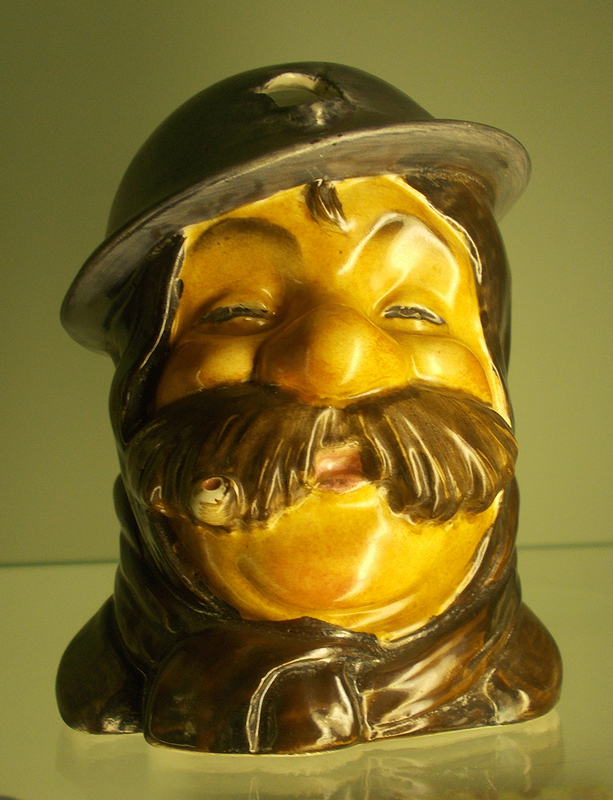 This is ‘old Bill’ a cartoon character invented by a First World War artist called Bruce Bairnsfather. I’ve not seen it before in the form of a pot, but it really is a good one. Bairnsfather gained fame and plaudits for his work depicting the typical good humoured ‘tommy’ in that dreadful conflict. Looking at the two images when I got back from Newport I was struck by a small similarity, though I expect that neither would agree.